According to the HSE (Health Safety Executive for Work) Employee's wellness needs to be a priority, with a staggering 30.4 million days lost each year due to work related illness or injury. The estimated cost for this is 14.1 Billion each year to the employer. A link can be found by the effects of prolonged sitting at work with 2 Out of 3 office workers complaining about Neck and Back pain at their workstation! It's time to find a solution to improve wellbeing at work! 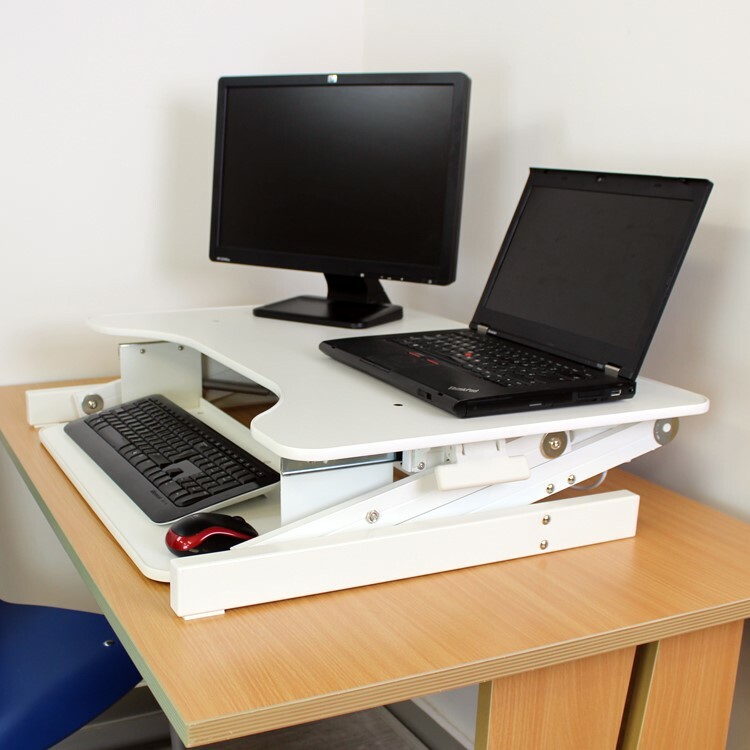 Less than 2% of UK Office workers have sit to Stand Desks, resulting in an average of 2 out of 3 workers complaining about prolonged sitting related injuries caused at their work-station. A simple solution to this would be to stand up more! Alternating between Sitting and standing will increase productiveness. A simple product like the Standing Desk could be the answer. As an office working population, this is becoming a popular inexpensive solution to improving staff overall wellbeing and productiveness in the work place. It's known that more than four hours at the desk results in Back pain, muscular problems and health problems such as affected blood sugar levels and heart related risk. By simply standing up more, we can stop all this and promote a healthy working productive work space. Healthcare Expert Doug Jones kindly gave us his insight into the "Impact Of Sitting" Check it out! Understand your natural posture - With 2 out of 3 Workers complaining about posture related injuries, the employer needs to take this seriously. There are lots of methods of improving Posture, realising your natural Posture is the first step. Second is to maintain natural Posture, posture aids such as the Posture Brace are teaching mechanisms we can use, the way it works is by retracting the shoulders back into their natural state and forcing you into improved postural alignment. Positioning of your screen - Neck pain is a common occurrence within the workplace, reason being is that neck strain occurs when the neck is put in positions that are not natural. A way of combatting this is to adjust your screen to an optimal working height and length. For the perfect distance away from your screen, sit back and extend your arm, the tips of your middle finger should rest on your screen. 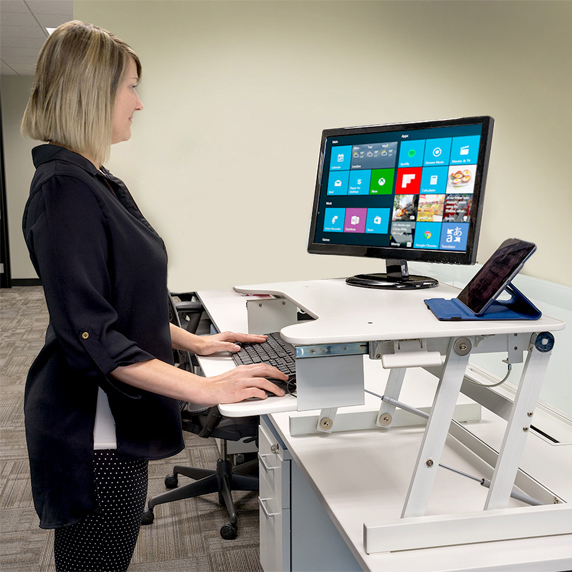 Your optimised working height is eye level; an adjustable mechanism like the Standing Desk can raise your screen up and down to meet your requirements. Also a Neck Brace could be a viable option to reduce neck strains, the way it works is by taking the weight of your head off your neck and shoulders. 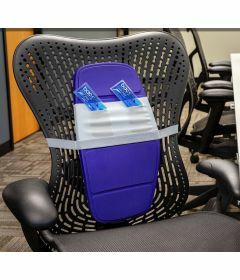 Back Support – For office workers, inadequate Back Support can create a great amount of stress on the Lower Back. Whilst sitting for long periods, we approximately put 2x more pressure on discs in the spine whilst sitting down. 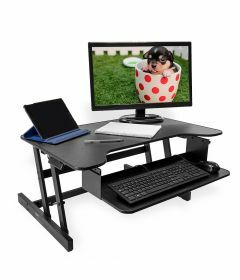 To combat this, back supports such as the Backboard provide sufficient chair lumbar support combating lower back problems. 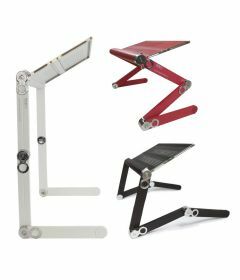 Your chair – An ergonomic adjustable chair is a necessity to provide sufficient sitting support. A simple chair can be used but only if it’s accessorised with the correct product. 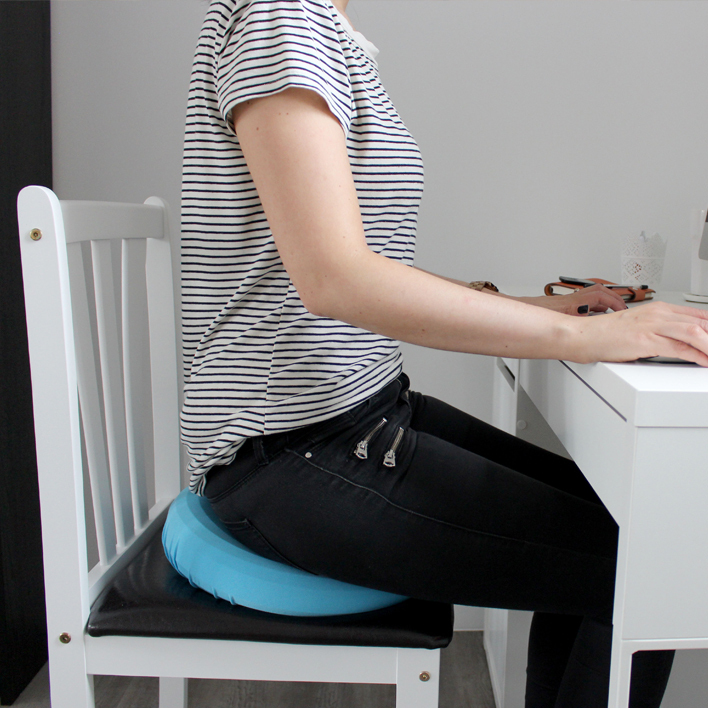 A product like the Posture Cushion is ideal, as your body is required to perform continuous micro-movements to stay balanced, these movements strengthen your core muscles, resulting in less back related injuries. In summary, wellness in the workplace should be taken more seriously, its advantagious for both employee and employer. 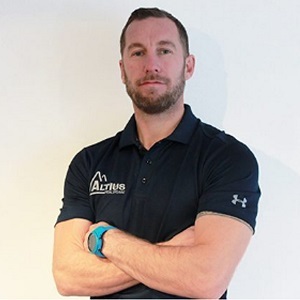 Wellness is a hot topic at the moment, with more company’s looking to improve overall team Morale and productivity within the workplace. Go checkout our range at BackPainHelp we may have products that could improve wellness at your workplace!